THE revamped Jerudong Park Playground has attracted more than 200,000 visitors since it reopened eight months ago, said Jerudong Park Country Club’s head of finance. In an interview with The Brunei Times, Hj Jeff Hadiman Dato Paduka Hj Danial said the figures were more than they expected and showed how people sorely missed the amusement park. 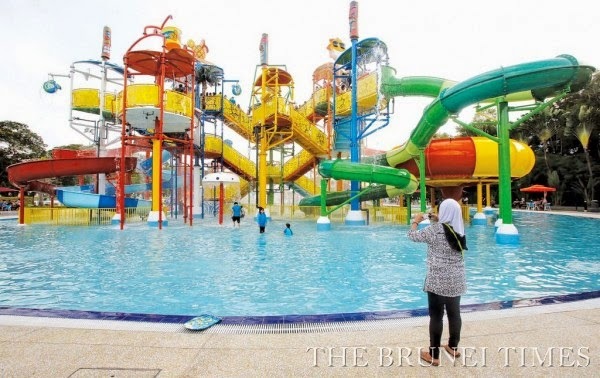 “To reach a number like 200,000 was a very happy surprise for us, seeing that the population of Brunei Darussalam is over 400,000 – it is nice to think that half of the population had visited Jerudong Park Playground in less than a year of its re-launch,” he said. It is not known how many Bruneians accounted for the total number of visitors. Hj Jeff said November and December had recorded the most number of visitors of over 50,000 visitors, mainly due to its promotion and opening of Brunei’s largest water park last month. THE fragrant smell was distinct to that of sizzling meat and charcoal smoke as Hj Zaini Hj Jahiri, a 64-year-old man, deftly fans the stove while keeping a keen eye on the doneness of the skewered meat arranged on the grill at the Tutong Town wet market. Hj Zaini comes from a line of purveyors of satay and the accompanying condiments which started with his grandfather who was a Dusun that hailed from Kampung Bakiau in Lamunin, Tutong. His grandfather started selling satay since his youth, taking the business with him everywhere he went, before settling at Subok in Bandar. He worked as a secretary in a logging company while perfecting his satay and peanut sauce recipes, and selling his creations. It was there that Hj Zaini’s father and mother, along with their siblings, learned how to prepare and cook satay as they grew up. ABDUL Zainidi, an independent Paris-based Bruneian film director, is no stranger to Brunei’s videography scene. One of his first works that gained him recognition among the locals was the comedic web-series called ‘Brunei in Paris’, which he created three years ago. He gained international recognition with his short film called ‘Bread Dream’, which became the first Bruneian film to be selected for the Cannes Short Film Corner in France in 2012. His other internationally recognised works include ‘Gagak dan Merak’, ‘Lobak’ and ‘Sakana Dream’. ‘Sakana Dream’ was presented at the 27th Tokyo International Film Festival (TIFF) in October 2014. 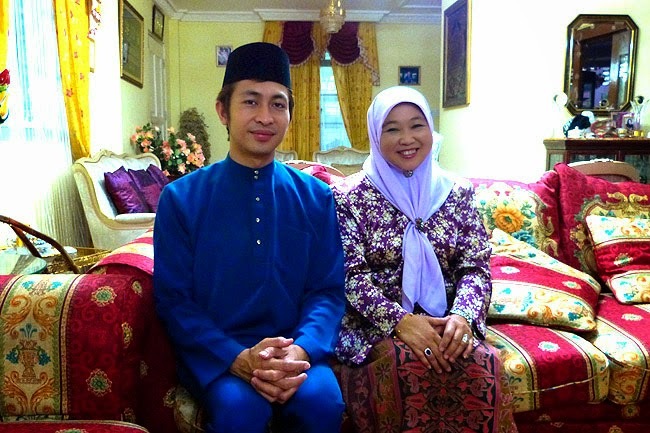 Abdul Zainidi recently returned to the Sultanate to film a documentary called ‘Family and Artists of Brunei’ or ‘FAB’. The filming took two weeks and covered different locations in all four districts featuring the local people. 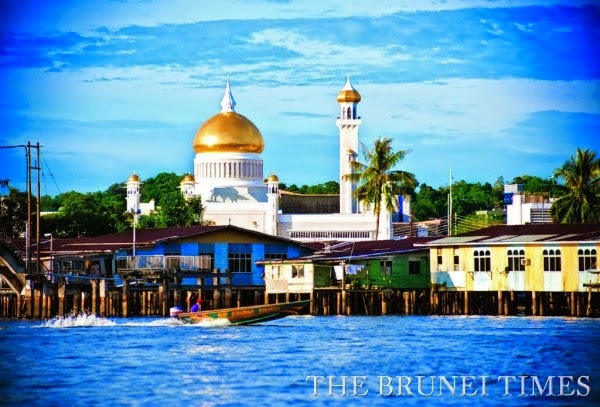 BRUNEI needs to share the secret to its success as a “functional modern Muslim state” as part of ASEAN’s counter-terrorism strategy, said a lecturer from Malaysia’s National Defence University. Associate Professor Dr Abdul Razak Ahmad (pic), on Thursday, called for greater regional cooperation to combat the threat of the Islamic State (ISIS) militant group by leveraging on the experiences of ASEAN member countries. “Brunei has a lot of success stories. You need to share it with the rest of the world,” he said at the Social Issues Seminar organised by the Malay Muslim Monarchy Supreme Council. Commending the nation’s dual education system, he said the combination of religious knowledge and mainstream subjects is “remarkable” as it has resulted in “people who are progressive, (leading to) a functional modern Muslim state”. MUSLIMS were reminded not to be swayed by recent acts of religious extremism. During a recently concluded seminar on social ills co-organised by the MIB Supreme Council and the Academy of Brunei Studies, Syariah High Court Judge Dato Seri Setia Ustaz Hj Metussin Hj Baki said it is important for Muslims to maintain their aqidah (religious faith) despite these recent occurrences. “In Islam, the term ‘jihad’ is defined as striving to better oneself to carry out our Islamic duties. Jihad is not to be defined as a Holy War,” he told the audience as he presented his paper “Hukuman Hudud Sebagai Iktibar dan Pengajaran” as part of one of the working papers for the seminar. He said the misconstrued perceptions some individuals have regarding Islam had given rise to misguided teachings that resulted in extremism among some Muslims. Muscat: Ithraa will host a Brunei trade delegation headed by DatoPaduka Haji Ali Haji Apong, deputy minister, Prime Minister's Office and chairman of Brunei's Economic Development Board (BEDB), on Monday. Topics on the agenda include ways of increasing trade and investment links particularly in the oil and gas, and food and beverage sectors as well as opportunities open to Omani businesses looking to improve commercial ties with Brunei and further penetrate the growing Asean (Association of Southeast Asian Nations) market. 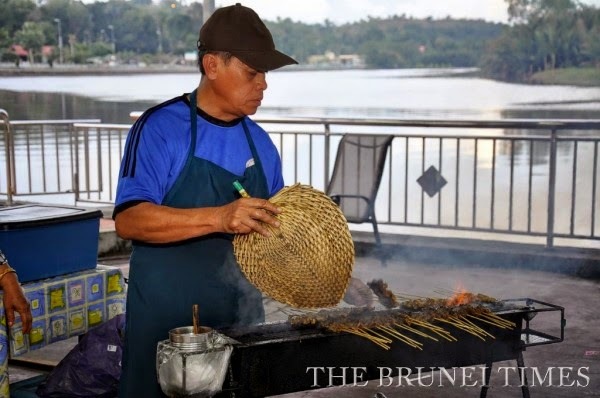 BRUNEI Darussalam is projected to reach a 2.5 per cent economic growth with an inflation rate at 0.7 per cent this year, compared to the GDP growth of 5.1 per cent and inflation rate of 0.2 per cent last year, a report from the United Nations (UN) said yesterday. The unemployment rate for this year stands at around four per cent, almost similar to that of 2014. 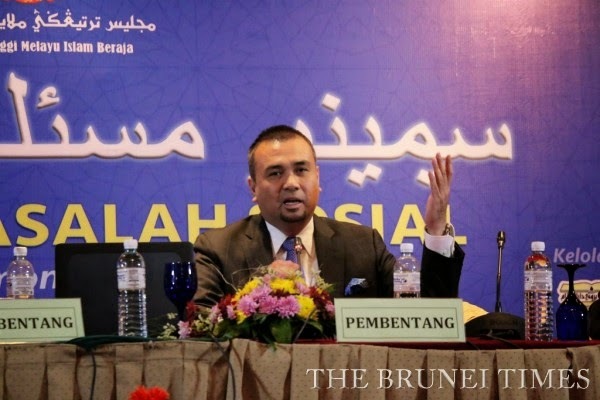 The International Monetary Fund (IMF) late last year said the GDP growth should rise to five-and-a-half per cent in 2014, and projected the Sultanate’s GDP to be 3.0 per cent in 2015 and 3.4 per cent in 2016. UN in its report noted growth in Asia-Pacific developing economies will pick up moderately in 2015. Prospects for growth would be better if supported by much-needed structural reforms, and could also be boosted by lower oil prices, which is an opportunity to mobilise resources for inclusive and sustainable development. 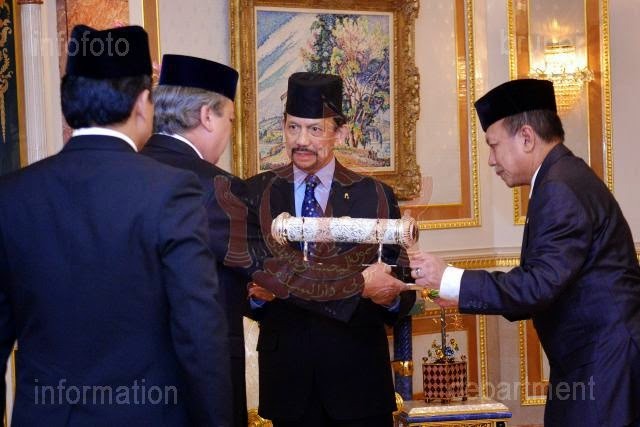 22nd January 2015, BANDAR SERI BEGAWAN: His Majesty the Sultan Haji Hassanal Bolkiah Mu'izzaddin Waddaulah, the Sultan and Yang Di-Pertuan of Brunei Darussalam, yesterday consented to receive an official call by His Royal Highness Sultan Ibrahim ibni Al-Marhum Sultan Iskandar, the Sultan of Johor Darul Ta'zim at Istana Nurul Iman. Also present at the ceremony was His Royal Highness Prince Haji Al-Muhtadee Billah, the Crown Prince and Senior Minister at The Prime Minister's Office. During the ceremony, His Majesty the Sultan and Yang Di-Pertuan of Brunei Darussalam also consented to receive an invitation from His Royal Highness the Sultan of Johor Darul Ta'zim to attend the Coronation Ceremony of the 5th Sultan of Johor which will be held at the Istana Besar Johor on March 23, 2015. 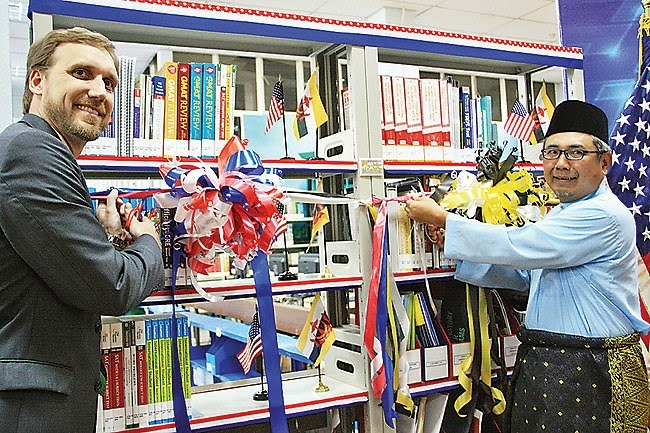 THE Language and Literature Bureau (DBP) of Brunei Darussalam and the US Embassy in Bandar Seri Begawan yesterday launched Brunei’s first-ever “American Shelf”. The event was jointly launched by Permanent Secretary at the Ministry of Culture, Youth and Sports, Dato Paduka Haji Mohd Hamid bin Haji Mohd Jaafar, and Mark S Dieker, Charge d’Affaires of the US Embassy in Brunei Darussalam. Also present were Director of Language and Literature Bureau, Hajah Aminah binti Haji Momin, Chief Librarian Haji Sahari bin Haji Nassar, librarians and invited guests. The American Shelf is a collection of resources on American culture, education, and English-language programmes, which was donated to the National Library by the American Embassy. It is located in the youth section of the library and offers to the public the use of free books, magazines and electronic databases on topics related to the United States of America. HIS Royal Highness Prince General Haji Al-Muhtadee Billah, the Crown Prince and Senior Minister at the Prime Minister’s Office, yesterday opened the 11th Brunei International Shooting Skill at Arms Meet (BISAM) at the Binturan Shooting Range Complex in Penanjong Garrison. This year’s event boasts the largest participation with 18 contingents, comprising 478 of the finest marksmen and shooters from 16 countries. The Crown Prince, who is also the General of the Royal Brunei Armed Forces (RBAF), showcased his exceptional marksmanship at the opening ceremony, where his team emerged victorious in the VVIP Pistol Novelty Shooting Competition. Eight teams of high-ranking defence officials participated in the competition, which took place at the 350m Point of Gallery 1. A string of major international trade agreements, due to be implemented in 2015, promise to strengthen and diversify Brunei Darussalam’s exports as it ramps up efforts to reduce its dependency on crude oil sales in the wake of plummeting prices. The value of exports slumped 23.2 per cent in October, due to lower shipments of oil, according to the latest figures from the Department of Economic Planning and Development. A 7.3 per cent decline in oil exports was directly caused by the fall in average oil prices, it noted. JALAN KEBANGSAAN, BRUNEI-MUARA: His Majesty the Sultan Haji Hassanal Bolkiah Mu'izzaddin Waddaulah ibni Al-Marhum Sultan Haji Omar Ali Saifuddien Sa'adul Khairi Waddien, the Sultan and Yang Di-Pertuan of Brunei Darussalam, has consented for the establishment of the Humanitarian Fund for Flood Victims in Malaysia. In this regard, a committee for the National Fund was formed and held its first meeting this morning at the Ministry of Culture, Youth and Sports at Jalan Kebangsaan. The Acting Minister of Culture, Youth and Sports, who is also the Co-Advisor of the committee, briefed the meeting that thousands of people in Malaysia were left homeless by the natural disaster. 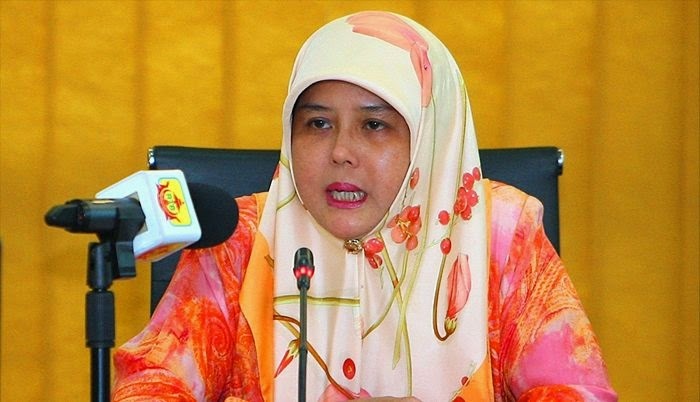 Yang Mulia Datin Paduka Hjh Adina Othman said that in a show of sympathy for the flood victims in Malaysia, the Monarch has consented to establish the National Humanitarian Fund to assist the victims. THE Ministry of Finance (MoF) has launched a new online system which will allow a business owner to incorporate a new company in just one day. 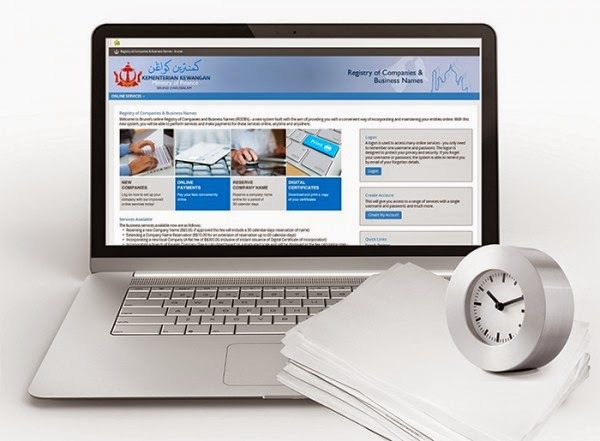 The new online system, which can be accessed through https://www.roc.gov.bn/, aims to reduce the time it takes for business owners to receive their certificate of incorporation, which is required to acquire a business license. Under the previous system, reserving a business name can take up to two working days, while incorporating the company will take another two working days. According to Mohd Saiful Adilin Hj Edin, assistant registrar at the Registry of Companies and Business Names (ROCBN), it will only take a few minutes to approve an application for a business name. THE Department of Economic Planning and Development (JPKE) under the Prime Minister’s Office has completed the revision and rebasing of the national accounts statistics for Brunei Darussalam. The new series of national accounts with base year 2010 will now replace the existing series with base year 2000. The compilation of the 2010-based national accounts statistics for Brunei Darussalam is based on the latest international guidelines as outlined in the System of National Accounts 2008 of the United Nations. One of the most important aggregates derived from the national accounts is the Gross Domestic Product (GDP), which is used to measure the economic performance of a country in terms of the production of goods and services for a specific time period. BRUNEI will be hosting the 11th Brunei International Skill-At-Arms Meet (BISAM) from Jan 20-31. The 11th edition of the international shooting competition, hosted by the Royal Brunei Armed Forces (RBAF), will see 16 countries vie for top honours. This will be the largest participation since the competition was first held in1985. The competition will be held at the Binturan Firing Range Complex at the Penanjong Garrison in the Tutong District. 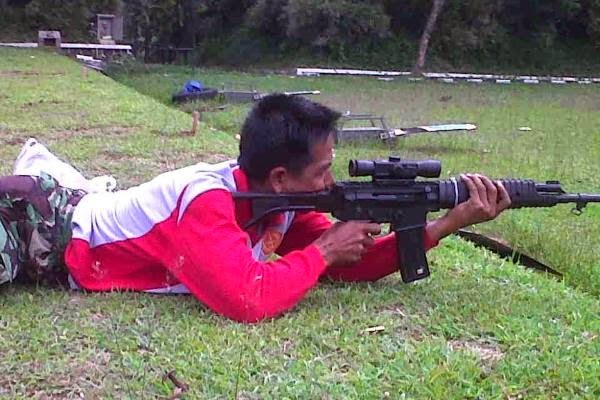 The Ministry of Defence (MinDef) in a statement said the 11-day event will see the inclusion of new marksmen and shooters from China, Philippines, Thailand and the United States. Other nations competing in the event are Laos, New Zealand, Oman, Vietnam, Pakistan, Australia, Cambodia, Indonesia, Malaysia, Singapore, the United Kingdom and Brunei. The Sultanate will be represented by shooters from all three services of the RBAF and the Royal Brunei Police Force (RBPF). BRUNEI DARUSSALAM: The drop in global oil prices will not hinder Brunei's production or downstream activities, and dealing with the price fluctuation is simply part of being in the oil and gas industry. Minister of Energy at the Prime Minister's Office, Pehin Datu Singamanteri Colonel (Rtd) Dato Seri Setia (Dr) Awang Haji Mohammad Yasmin,bin Haji Umar, said this in an interview after meeting with members of the industry as a second follow-up to the Oil and Gas Sector Job Fair 2014. During the meeting, one of the points raised was linked to the drop in crude oil prices and how it could affect businesses here. Speaking to the Bulletin, he said, "This is normal for the oil and gas industry. "When the price of oil hits $50, people do not stop producing. No one stops producing. Life goes on, and the prices will adjust themselves. It's market driven. This is the reality of the world; the reality of the market," he continued. MINISTER of Foreign Affairs and Trade II Yang Berhormat Pehin Orang Kaya Pekerma Dewa Dato Seri Setia Lim Jock Seng yesterday signed a condolence book at the French Embassy in honour of the victims of the Charlie Hebdo massacre in Paris. 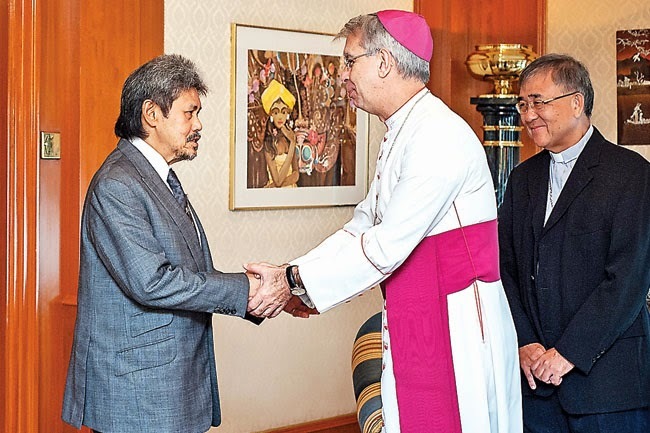 In his written message, Pehin Dato Lim expressed sympathies on behalf of the government of His Majesty Sultan Haji Hassanal Bolkiah Mu’izzaddin Waddaulah, the Sultan and Yang Di-Pertuan of Brunei Darussalam towards the victims’ families as well as to the people and government of France. 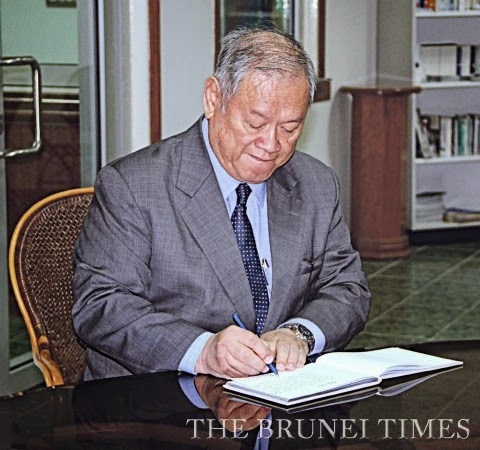 Several government officials and members of the diplomatic community in Brunei have already signed the book, which will be open for signing until the end of the week. HALAL Travel is fast becoming a catchphrase in the travel industry. The Muslim travel market segment was estimated to be worth US$140 billion ($187.33 billion) in 2013, representing almost 13 per cent of global travel expenditures. Brunei Darussalam joins an increasing number of countries that are now keen on tapping into this segment. With 1.8 billion Muslims worldwide as potential customers expected to spend US$181 billion on travelling by 2018, Brunei would be remiss not to tap into this growing and lucrative market.